Getting someone’s email address is not even half of the battle. Sure, you got them to join your list. Perhaps they clicked on a popup, call-to-action on the blog or grabbed your lead magnet. But now you have to get them to open your emails. Otherwise, all your efforts so far will be in vain. Because you see, given how many emails we receive each day, breaking through that noise isn’t easy at all. Luckily, there are ways to ensure more people open your emails. And in this post, I’ll show you 4 actionable ways that will boost your email open rate right away. 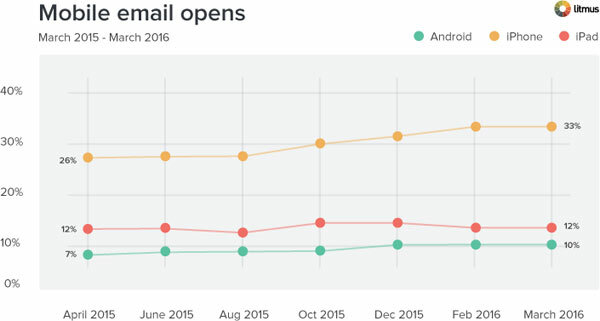 What’s the Average Email Open Rate? Before we dive into discussing ways to increase the email open rate, let’s establish some benchmarks – the average email open rate. This will help you establish if you actually have a problem and if so, how severe it is. He shows that, on average, about 26% of desktop users open marketing emails, however, as many as 58% mobile users view messages from brands. I’m sure you already know about the importance of a headline. You know that words you include in the email subject line affect a person’s willingness to open it. And you’ve probably read tons of advice on how to improve it (if you didn’t, start by checking out this great article by Chris Hexton from Vero over at Unbounce). But did you know that a strong email preheader text could help you increase open rates as well? Preheader text aims to help you find out what the email contains without having actually to open it. And it works. Many customers use preheader text as another way after the headline to screen their inbox for spam and stuff that’s irrelevant to them. And last year, Jon Powell from Marketing Experiments Blog conducted a research to prove the effect of preheader text on email open rates. He discovered that clearly communicating value to the customer have resulted in 104% increase in open rate. How to optimize the preheader text? First of all, keep it short. Assume that people will view your email on a mobile or a desktop client with a window set not to full screen. So, aim to communicate the value in about 50 characters. Write it as an extension of your subject line. 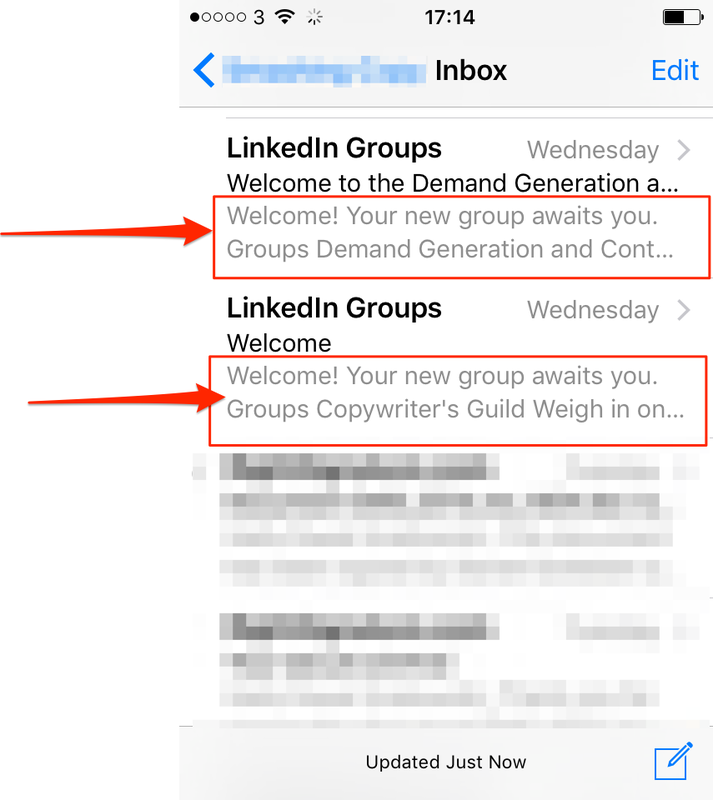 Given that the preheader text will appear right after the headline, write it so that the two work together to incentivize a person to click your email. Experiment with including a call-to-action. I know, there is a varying advice on this matter. Some email experts advise on using preheader only to communicate value; others advocate adding a call to action. Experiment with both approaches to find the one that works best for your audience. How to preview your preheaders? Simple, use this nifty little tool from codepen.io. Some emails on your list will go stale. Guaranteed. Those people might have changed emails, moved jobs, or stopped using that account for one reason or another. In fact, according to Epsilon, only about half of your list will be active, opening and clicking on emails, while the other half might not even see your emails. Removing old and unused emails increases the health of your list and reduced the cost associated with sending emails. After all, you no longer pay for sending messages that would never get opened anyway. However, cleaning stale addresses has one more benefit. It immediately increases your open rates as you now send messages to fewer recipients. So, even if the same number as before opens a message, your open rate will still go up. A quick fix but it works. I know, it makes no sense, right? After all, everywhere you go, you hear about the benefits of sending personalized emails. Not all personalization helps increase conversions, open rates, and improves customer retention. In fact, too much personalization could actually deter recipients from opening your email. Today’s customers have learned to be wary of messages including their name in the subject line. And to no surprise, the practice has been used to death by spammers. So, reduce the amount of personalization you use. Instead of including the recipient’s name in the subject line, email opening, and the body copy, mention something they’d find relevant. Perhaps something that would remind them about your store. It could be a promotion they’ve signed up through or the popup copy you used to build that list. This way you’ll make the message more relevant than by using the person’s name. Instead of mentioning anyone by name, Derek Lewis, a fantastic business book ghostwriter, calls out his target audience in the subject line. It’s a subtle personalization that works. It makes the email immediately relevant to people Derek wants to talk to. 48% of emails are opened on mobile devices. And, at least according to Marketingprofs, by next year, 78% of email messages in the US will be opened on a smartphone or a tablet. All this means that you should start assuming that visitors first see your emails on mobile devices. And with that, optimize them for the best display on their device. Write short headline. Mobile devices sport a limited display real estate. So make sure that your headline doesn’t get cut preventing the person to get the full benefit its promising. Optimize the preheader text to display in full on a mobile. We’ve talked about preheader text already. But just one thing to add, write it so that the whole text displays on the mobile. This is particularly crucial, as unlike with a desktop client, you can’t assume that a person will stretch or resize their browser window.